Good morning lovelies & hello Monday. 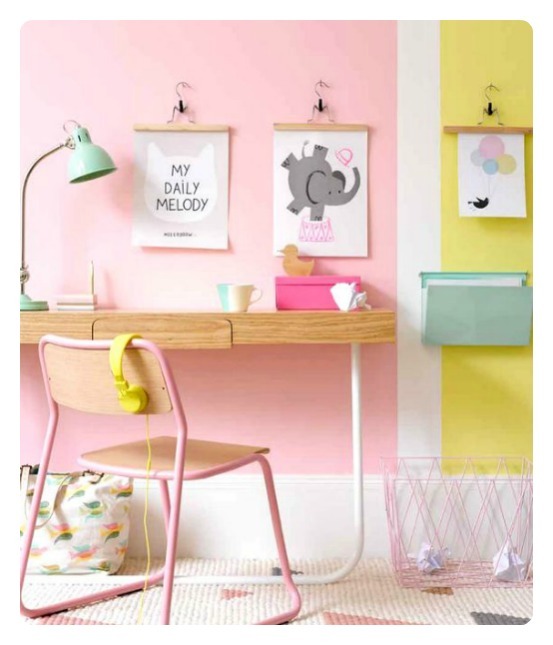 Let’s start the week on an upbeat note with some super-fresh inspiration for kids rooms. 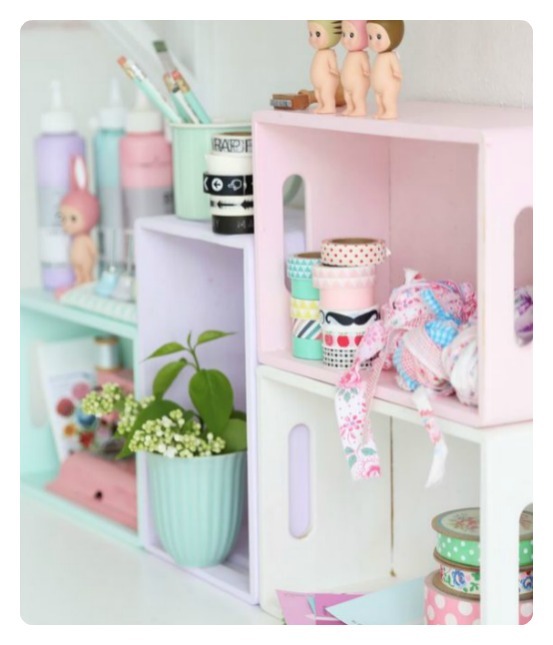 I really like the theme happening here: lots of bright pastels, new takes on established ideas and general loveliness. The first idea in two different incarnations is inspired by The Princess & The Pea: a stack of foam mattress covered in pretty fabrics for sitting or sleeping on. 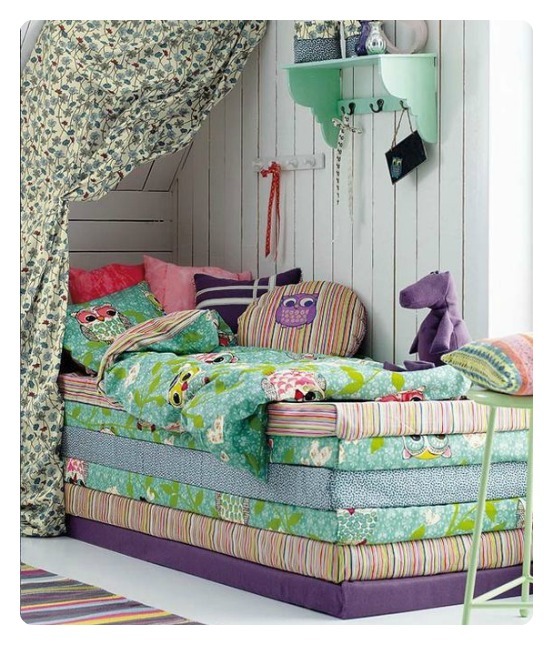 It’s a great idea for a playroom or a bedroom when your little one is past the rolling-out-of-bed stage. 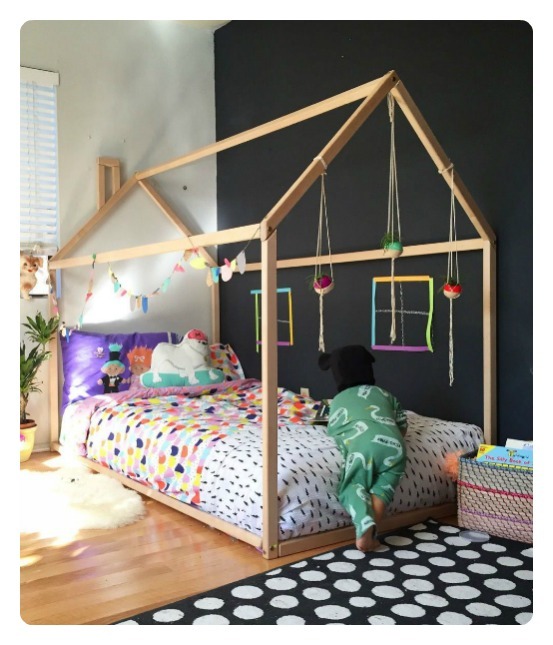 I love the thought of being able to pull the elements apart to create individual mattresses for friends to sit and play on, or for sleepovers. I would ensure that the foam you choose is the best quality; same goes for the fabrics which will be subject to a little wear and tear. This idea has been around on Pinterest for a while and it’s lovely. How awesome for your kid to have their own little house to sleep in and retreat to when they want a quiet moment. It’s such a simple frame that can be easily and cheaply made. How nice to string with fairy lights for nighttime, or drape with colourful sheets held together with bulldog clips or clothes pegs to create ‘walls’ and a ‘roof’ for playtime with friends. 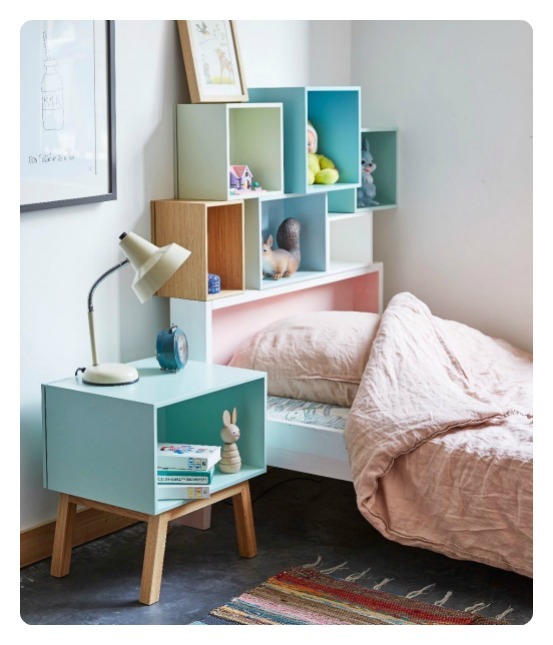 Configurations of storage boxes is always a winning addition to a kiddie’s bedroom and I like that these create the headboard. I’m assuming they’re secured properly because boxes on heads, not a good idea. But they’re perfect for storing and displaying stuff and the choice of colours is soothing as well as uplifting. I’m definitely noting an upsurge in the trend for using these functionally configured wooden crate boxes as cheap and cheerful modular storage (you can get them just about anywhere, from Macro-type hypers to hardware stores and always at places like Mambo’s). I like the idea of a mix-and-match assortment of sizes and designs and it’s as easy as pie to jazz them up in some pretty pastel colours – another big trend for the coming season. Bright pastels. 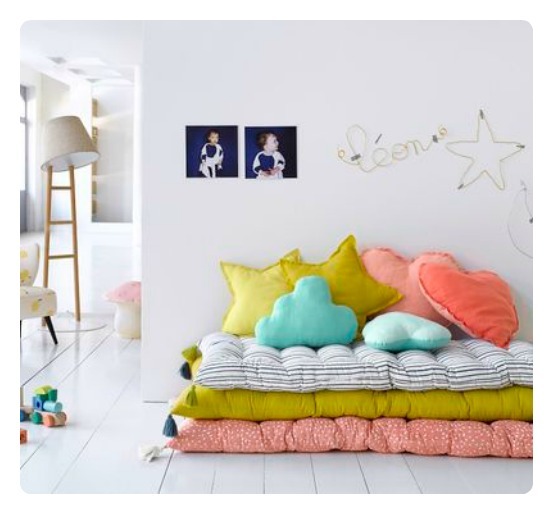 Here’s a little secret: as much as you’re in love with cool elemental Scandi shades for your little one’s space, kids love colour. I adore how pink and yellow are such brilliant BFF’s plus the way they’ve been painted like giant Pantone swatches. The white break in between is critical to keep the look modern and extra uplifting. We all know that library-style book shelves are ideal for young children’s spaces in order to let them choose books according to cover, plus kids’ book covers are just so fab to display. I really like the way this one has been finished with an ombre effect, making it a real design feature. 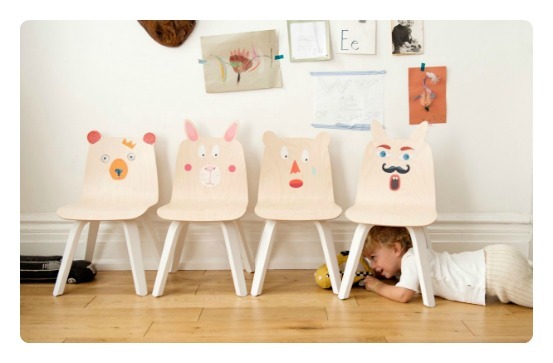 These bunny and bear-ear chairs are by the brilliant Sisters Guild design studio but the takeaway idea here would be to customise your kids’ chairs with sharpies, decals, removable designs on paper or washi tape. 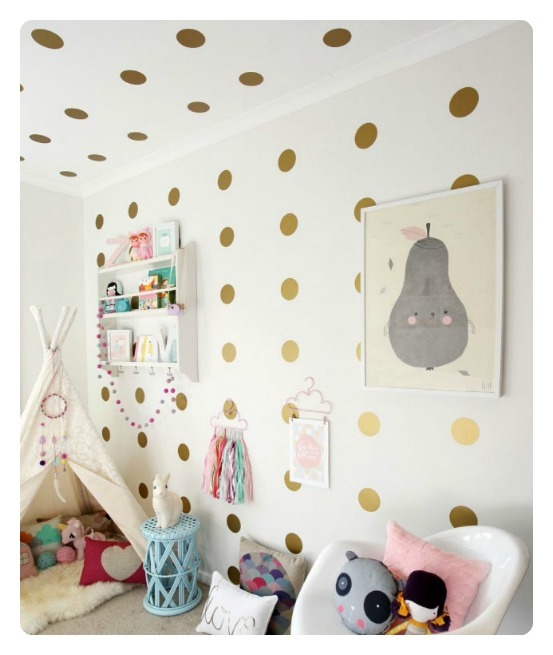 I’m a big fan of the polka dot as a design element – be it in the form of a fluffy colourful pom-pom or a confetti wall sticker. Push the idea of confetti wall decals further by running them from the wall onto the ceiling, dot-to-dot style.